TeamTalk Limited (NZX: TTK) shareholders overwhelmingly voted in favour of a resolution to sell 70% of the shares in the company’s Farmside division to Vodafone New Zealand Limited (Vodafone) at a special meeting in Wellington this morning. TeamTalk will continue to manage Farmside under a management contract. 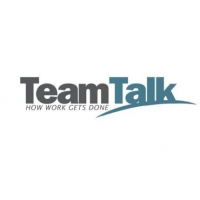 “Farmside will continue as a standalone division of TeamTalk and it will be business-as-usual for our customers. Vodafone recognise Farmside as the rural telecommunications experts and they are investing in the company to help strengthen and grow the business. The transaction includes a put option that enables TeamTalk to sell its remaining 30% shareholding in Farmside to Vodafone for $3 million at any time in the next three years, and a call option enabling Vodafone to acquire the remaining 30% for $3 million. The settlement date for the sale is 31 May 2017. Original generation time 1.6782 seconds. Cache Loaded in: 0.0260 seconds.